THE GIRLS FRINGE IS HERE! 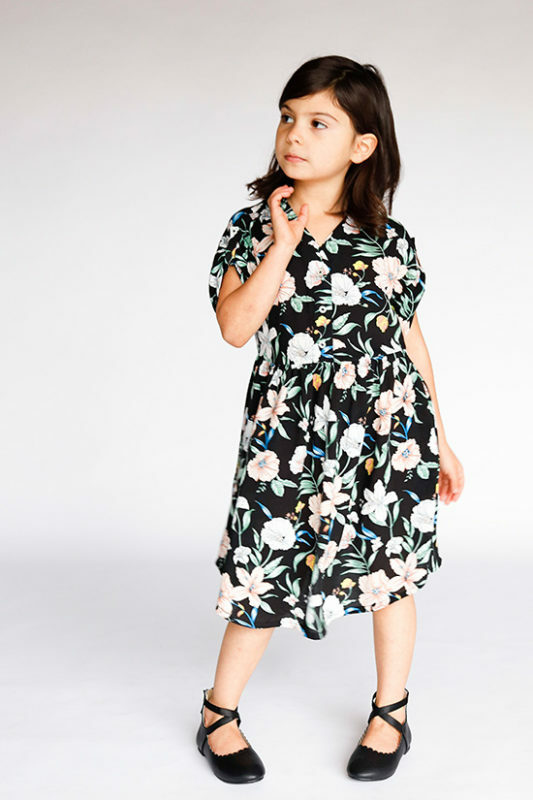 It’s no secret that the Women’s Fringe Dress has been a best-seller for Chalk and Notch, and I am thrilled to have the Girls’ version available for you and the little ladies in your life! It’s hard to predict if a women’s style will translate to a girls’ version, but I am really happy with how this pattern turned out. 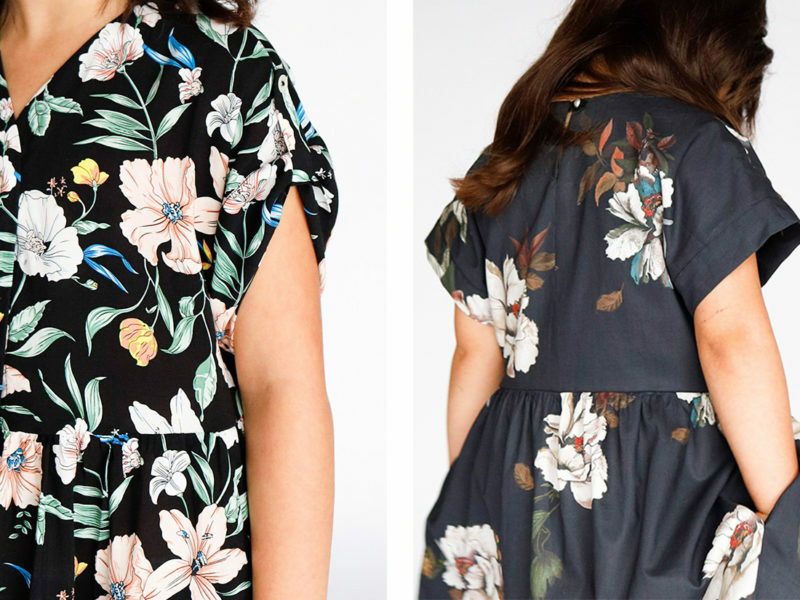 It’s a sweet silhouette that’s simple enough to let your fabric shine. I can’t wait to see all of your mini Fringes pop up, and maybe some twinning that will make my heart just burst! Shop the Girls’ Fringe while it’s on SALE through December 26th. I wanted the pattern details and construction to be similar (if not exactly the same) to the Women’s version, and for the most part they are for View A. View A has a button up front, elbow sleeve and tab. The bodice darts have been removed from both views, and there is more gathering in the skirt. 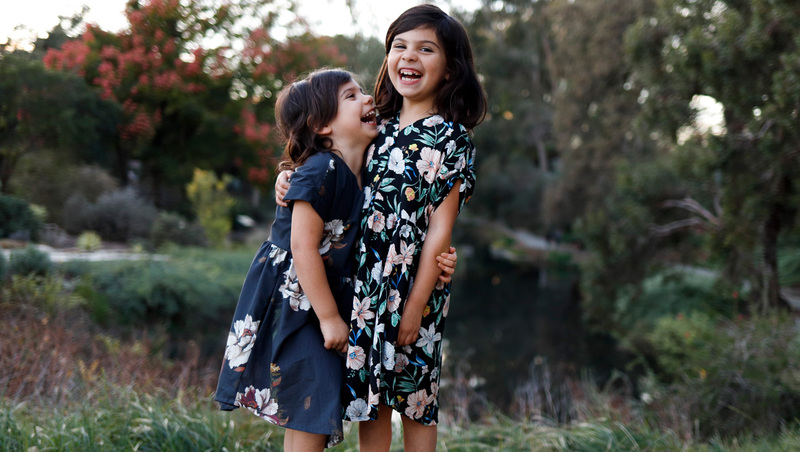 During testing, it became clear that we would need to adjust View B’s pull over neckline to accommodate little bodies with larger heads, so we added a center back slit and button loop closure. View B’s neckline has a notched detail, and I decided to line the bodice fully for a clean finish. View B also offers a cuff. 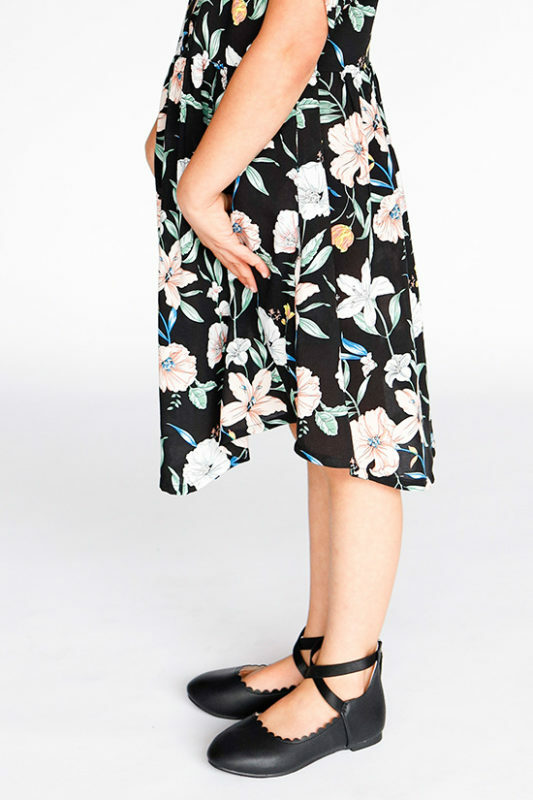 Both views include a blouse length, optional dress pockets and optional waist ties. The optional waist ties can help you achieve a more defined waist; however, I have not included it in either of these samples. Just like the women’s, the sleeve and cuff are interchangeable for both views. 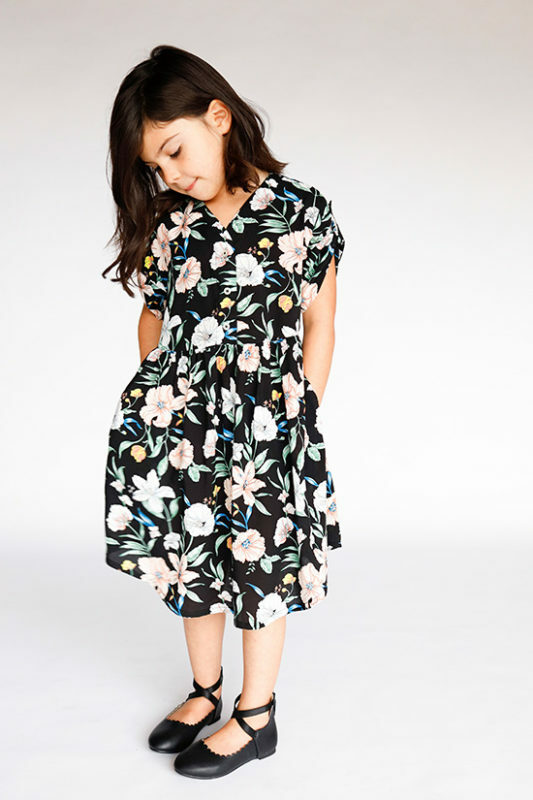 The pattern is listed as an INTERMEDIATE sewing level with the most challenging sewing steps being: sewing the facings (or lining), gathering the skirt ruffle and sewing the buttonholes on View A. These steps are not difficult, but they may be a new skill to learn. I have included sewing instructions to give you a clean finish when possible for a professional-looking result. There are detailed, step-by-step illustrated instructions to help you along the way, and if you’d like more help, the Chalk and Notch Patterns Facebook Group is a great place to get support. Many of the testers are members there, so you have great resources if you ever need them. The size range is 12 months to 12 years. If your child is outside of this range or is developing, I suggest trying the Women’s Fringe version. 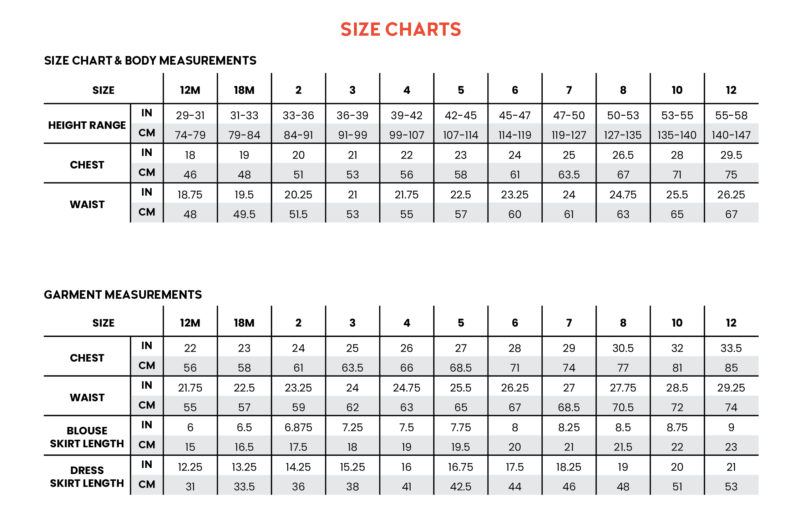 Pick a size based on the chest and waist measurement. This style is designed to have 4” (10 cm) of ease through the chest and 3” (8 cm) through the waist. 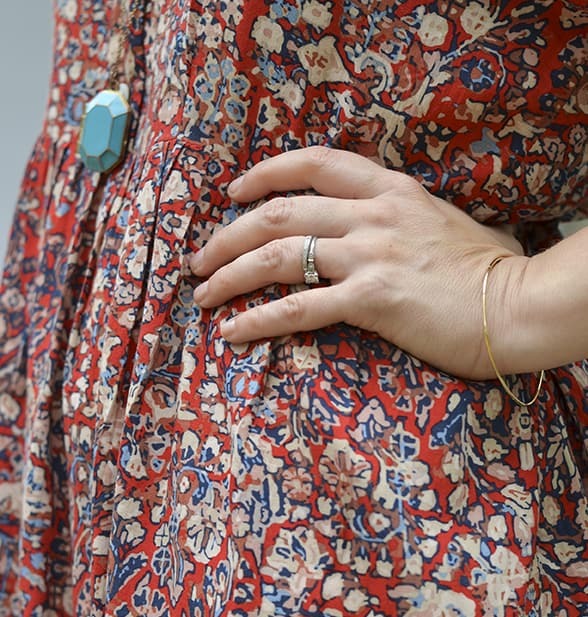 This amount of ease is necessary to pull on the dress, so size up if between sizes. You can adjust the length to accommodate height. More custom length adjustments are included in the pattern. This style is designed for a light to medium weight woven fabric with nice drape. So many fabrics work with the Fringe pattern; all you have to do is search #fringedresspattern to be inspired! 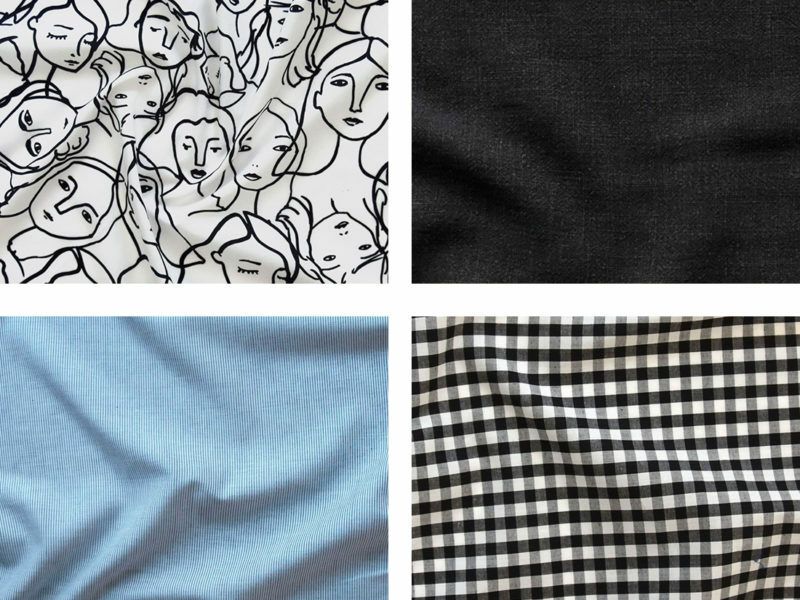 Recommended main fabrics: rayon challis, rayon crepe, cotton lawn, cotton shirting, linen, double gauze. View B requires ½ yard (0.4 m) of lining. You can use the main fabric or a lighter weight woven, if medium weight was used for the main. 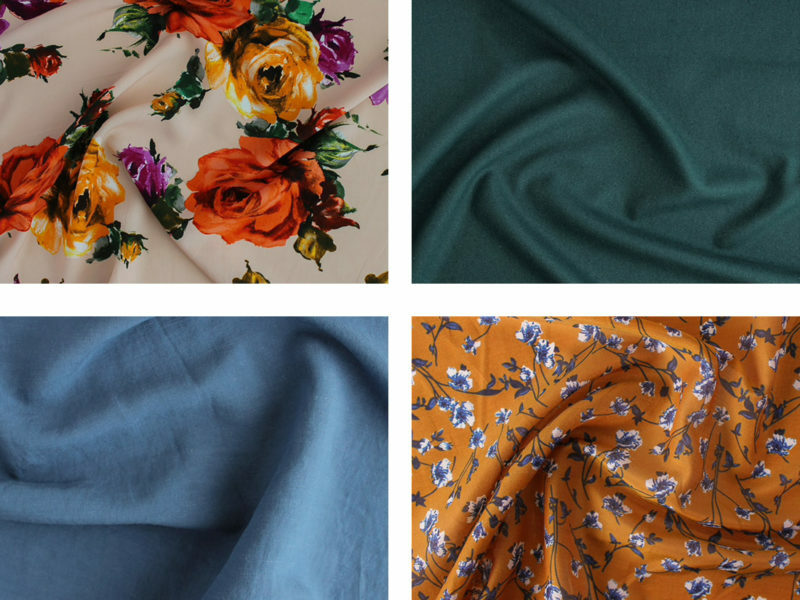 There are so many wonderful options, and you probably don’t need me tempting you to buy more fabric, especially right before the holidays. 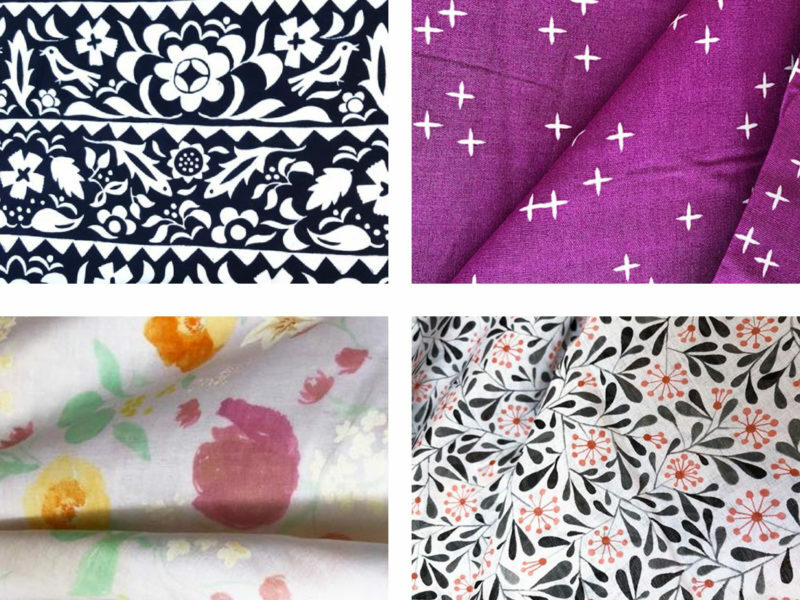 But I couldn’t help pulling a few recommendations from some of my favorite indie fabric shops. 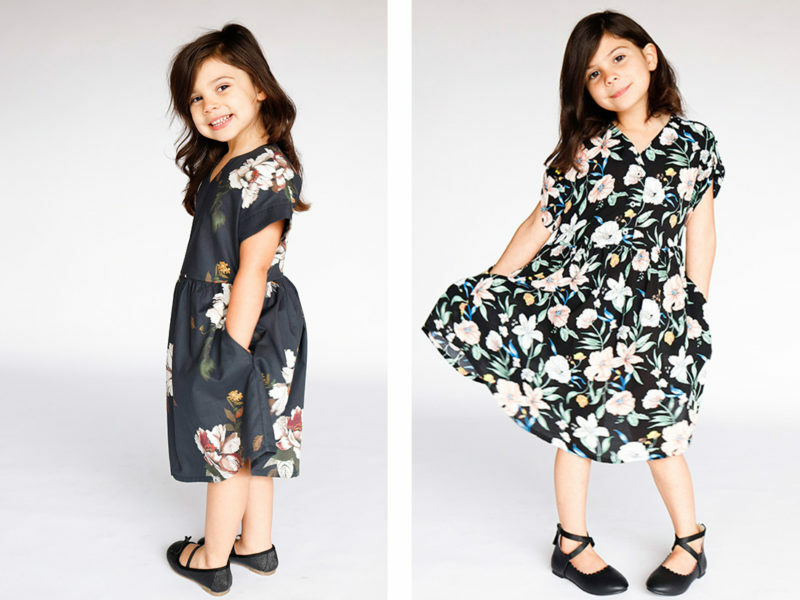 I love making my girls’ dresses in fabrics I would wear myself, so these all work for both the Girls’ and Women’s versions. You may already have something in your stash, but it’s always fun to do a little online browsing. I’ve used this fabric for an Orchid, and I love how lightweight this rayon is. 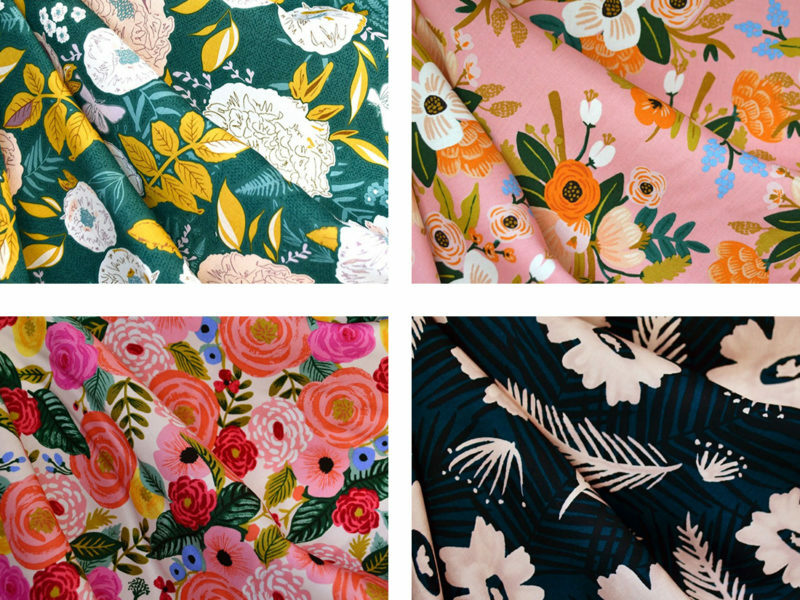 I love Rifle Paper Co. fabric, always and forever. 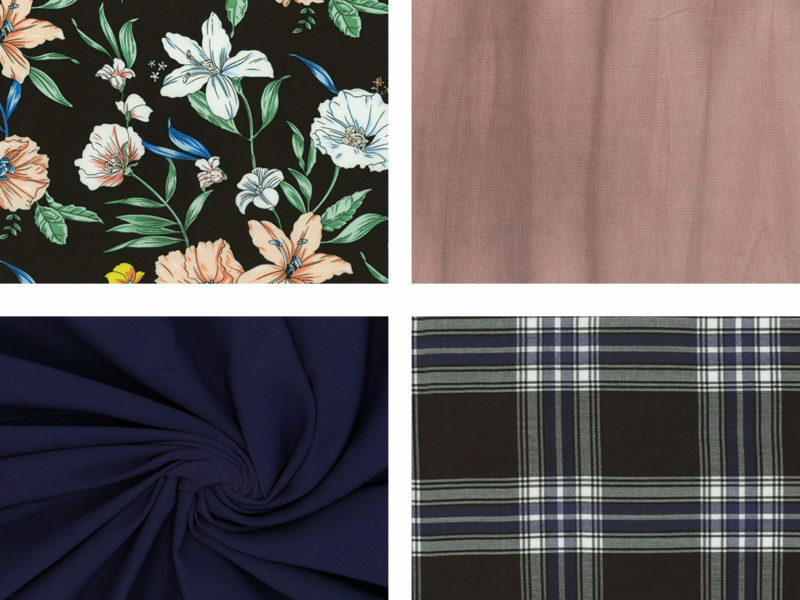 This Rifle Paper Co. rayon is from the latest collection. Here is another favorite that I used for the Orchid listing. I’m thinking I might have to get more of this! This Avery Slub Linen is such a beautiful fabric; it’s a nice medium weight and sews up so beautifully. I have a Fringe in this fabric for myself, and I’ve used it for the Orchid. I love this shirting, and I used it for the Women’s Fringe samples. It’s the perfect lightweight shirting fabric. I’m a sucker for Rayon Gingham. I’ve seen this fabric sewn up, and it’s just beautiful. I almost bought some for more mini Fringes, but I needed to exercise some self-control. Can you ever go wrong with Raw Silk Noil? I think not. Loving all of the jewel colors. Tencel Twill! It comes in so many colors, and this is one the best apparel fabrics around. Such a sweet small-scale floral in Silk Voile. I love this batik-style Rayon. Organic Double Gauze from Birch Fabrics. This is such a great print, and I love the bright color. Nani Iro Double Gauze. Need I say more? It’s so beautiful! This Organic Batiste in a delicate abstract floral is really sweet. 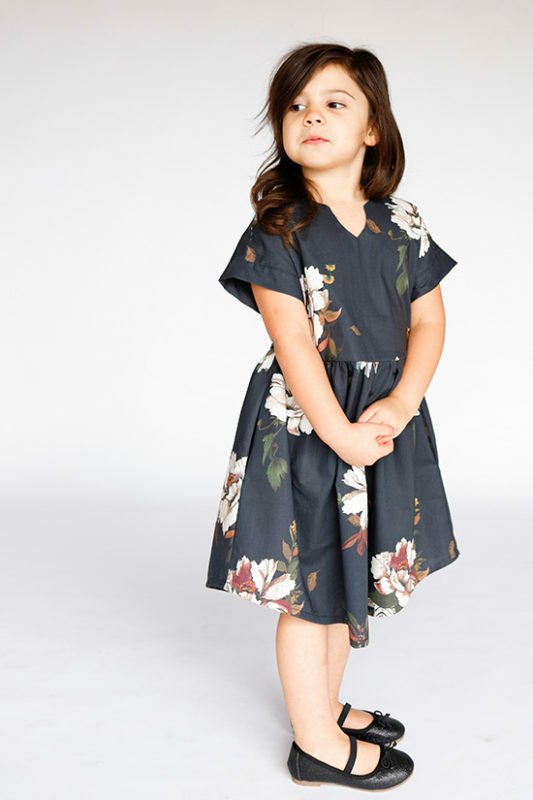 I purchased this fabric from Blackbird, but since they are sold out, I wanted to include it here. Harts has about 10 yards left. Run right now! The Sandy Lane fabric was a favorite for the Women’s Fringe, and there are several colors. The Navy Rayon is a classic and has great drape. Get that wintry plaid look in this Plaid Rayon, which has a nice drape. To be honest, a lightweight flannel works, too! I will be back next week with tester photos from the wonderful team of women who helped make this pattern a reality. I’d love to see what you come up with, so if you share your makes, tag @chalkandnotch and use the hashtags #fringedresspattern #chalkandnotchpatterns so I can see your creations. 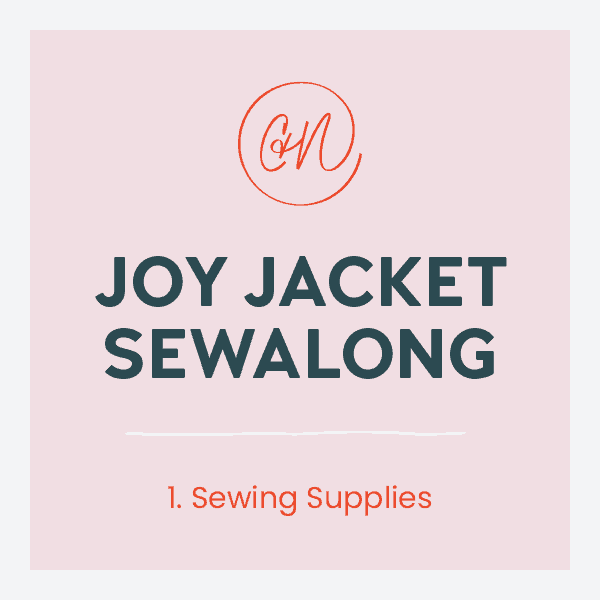 If you need any sewing help or have questions, please feel free to email me or join the Chalk and Notch Patterns Facebook Group – I’m always happy to hear from you. You can also follow Chalk and Notch on Instagram. Thanks for checking out the Girls’ Fringe pattern!